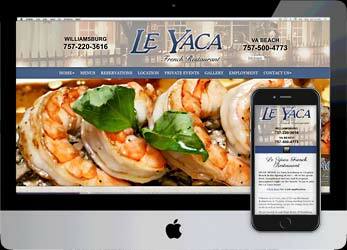 We have been building restaurant websites for ten years. From budget sites to full featured systems, we have the skill and the knowledge to give customers the information they need. What are your customers are looking for? Potential customers are looking for several things before dining out. They want to know how much it will cost to eat there, what your specials are, how to find you, and what your restaurant looks like. Our experience tells us that restaurants generally have higher traffic than other small business websites. 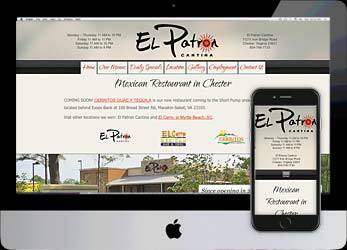 We expect our restaurant websites to get at least 1000 visits per month. In addition, since a restaurant is a “community”, social media is important. We can help in that area as well. 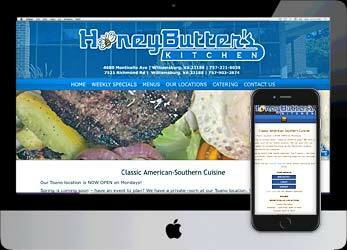 See some examples of our restaurant websites below. Every website needs to be dynamic, meaning that the content of the site frequently is changed. All of our sites allow you to edit everything on every page. You can change your menu. You can change your specials. You can change your hours of operation. If you can use Word, you can edit your own website. What else do you need in your restaurant website? You need search engines to find you. Even on our budget sites we use the latest search engine optimization. I can’t afford a website right now! Sure you can! Our start up sites for as little as $600.00, with only a $300 down payment. Over the course of the first two years, our budget sites are cheaper than those $29.99 per month websites you see on TV. And our sites are better. Plus, if you want to upgrade to a site with more features later, we give you 100% credit for your budget website. Our maps are not only VERY large, they come with interactive, door to door driving directions, to help customers find you, from their home or office. This is a PDF menu that you can change anytime you want. Our premium websites also feature your menu on a page. This helps search engines find you. We feature great galleries for restaurants to show customers what they have to look forward to! They also display VERY well on mobile phones.